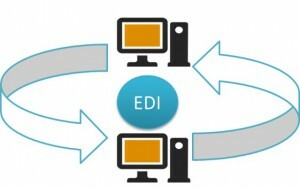 EDI System Solutions - Integration, Inc. Integration, Inc. holds the highest regard for accurate and successful edi system solutions and processing of your edi projects. The primary goal of Integration, Inc. is to connect each business we work with to their greatest edi solutions opportunities. Integration, Inc. increases customer order processing efficiencies, while substantially reducing operating costs. We accomplish this by utilizing our more affordable, easy-to-use and trusted edi processing solutions. Integration, Inc. is the industry-leader in providing accurate and successful processing of your edi processing program. For any organization, implementing an accurate edi system solutions platform can be difficult. Integration, Inc. provides a seamless implementation of edi system solutions, exceeding all your edi needs and expectations, the first time, for every customer. Implementing a successful edi system solutions platform requires access to a broad range of skills. You’ll also need to consider the capital investment in hardware and software that is required. Few organizations can sustain this kind of investment. Integration, Inc. works to integrate edi system solutions for your business with back-office systems, such as ERP, replacing your need for such an investment. If you haven’t already, it is time for your business to find out how Integration, Inc.’s edi system solutions and services will transform your business and make the implementation of an EDI system affordable, robust, and easy to use. Integration, Inc. enhances the edi processing package to include exploring a managed services approach to successfully processing all edi transactions. This makes Integration, Inc.’s edi system solutions much more attractive to businesses nationwide. In fact, edi system services can be far more appealing and beneficial to outsource than other areas of IT where it has been done for years. Contact us today to learn more about Integration, Inc.’s edi processing benefits.